MUMBAI, India - European stock markets rebounded Friday after slumping on worries about the soundness of a bank in Portugal, while trading in Asia was muted over the specter of more financial turmoil in Europe. Markets worldwide had fallen Thursday because of jitters about the financial stability of Portugal's Espirito Santo International, which reportedly missed a debt payment this week and was cited for accounting irregularities, echoing issues that sparked Europe's debt crisis four years ago. 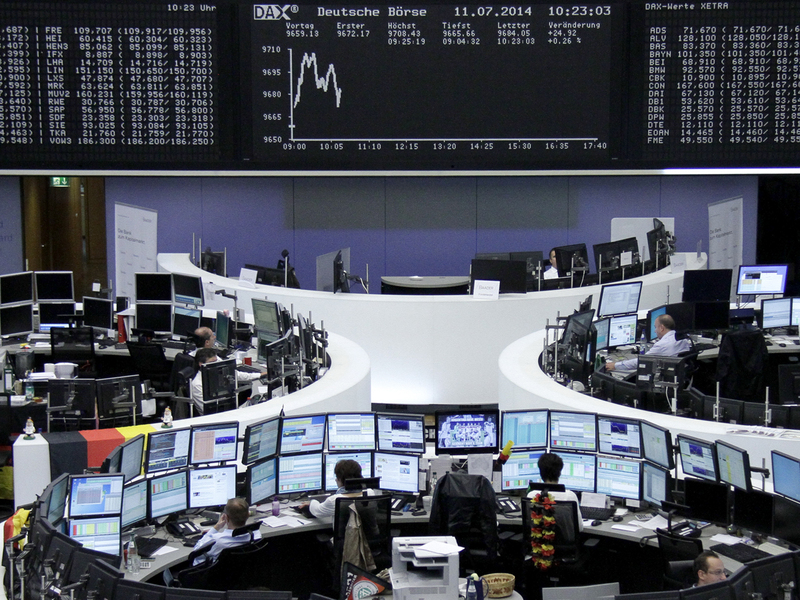 Germany's DAX was up 0.1 percent to 9,666.12 and the CAC-40 in France rose 0.5 percent to 4,320.68. The FTSE 100 in London gained 0.3 percent to 6,688.79. The euro rose slightly to $1.3609, indicating that the Portugal scare had not rattled confidence in Europe for very long. The dollar inched up to 101.33 yen from 101.30 yen late Thursday. "I suppose the question on investors' minds is whether this latest Portugal banking crisis will lead to contagion in the region," said IG strategist Stan Shamu said in a market commentary. "Judging by the reaction in the single currency, then possibly the market doesn't quite feel this is the case." Futures augured gains on Wall Street. Dow futures added 0.2 percent to 16,883 and S&P 500 futures rose 0.2 percent to 1,962.40. Still, most Asian stock markets were dragged down earlier Friday, either in reaction to the Portugal news or by local factors. Japan's Nikkei 225 slipped 0.3 percent to 15,164.04 and South Korea's Kospi fell 0.7 percent to 1,988.74. Hong Kong's Hang Seng closed nearly flat at 23,233.45 while Taiwan's Taiex shed 0.7 percent to 9,495.84. Australia and China were exceptions, with Sydney's S&P/ASX 200 adding 0.4 percent to 5,486.80 and the Shanghai Composite up 0.4 percent to 2,046.96. India's Sensex was down 1.3 percent at 25,024.35 a day after the new government's maiden budget that some analysts criticized as insufficiently bold. In energy trading, benchmark U.S. crude for August delivery was down 27 cents at $102.66 a barrel in electronic trading on the New York Mercantile Exchange. The contract gained 64 cents to $102.93 on Thursday.